Select a size Adult S/M 22.7 Adult L/XL 24 Youth S/M 20.5" Youth L/XL 21.3 Baby S/M 18.9" Baby L/XL 19.7"
Printed with a fresh take on the Seattle Seahawks colors. An abstract design using the Seahawks fan colors. Men, women and babys will be snuggly warm with this fall to winter hat. Get personal with your gift giving this year! 💧 Your beanie hat is easy to care for. Wash it in a washing machine in cold water, or hand wash in cold water. Please air dry. 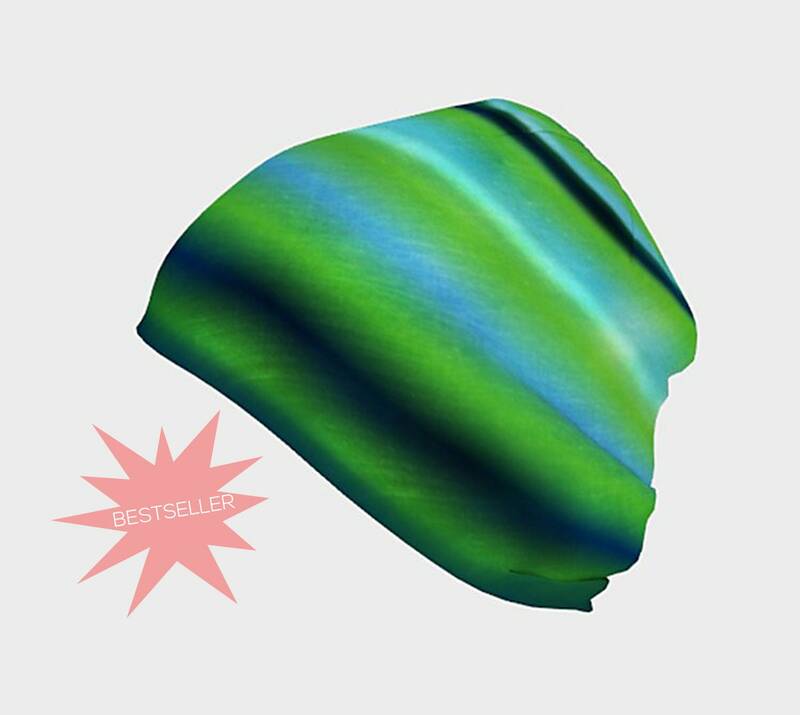 Since the lining and shell are two different fabrics, air drying prevents any shrinking between the two different fabrics and keeps your beanie fitting just right. ☆☆☆☆☆ - For my niece. Love the photography, only really pretty stocking cap I could find with horses. Very nice quality. ☆☆☆☆☆ - LOVE this hat. nice and warm and super comfy! ☆☆☆☆☆ - This was a fantastic item! ☆☆☆☆☆ - Shop owner Michelee was outstanding to work with, communicating all the necessary details to set up a custom print, and went through sincerely-appreciated extra effort to ship the hat ahead of the Thanksgiving holiday. The hat is beautiful, vibrant and exact colors, and great construction.